Slania Crazy! : Poland 1952 - Training ship "Dar Pomorza"
Poland 1952 - Training ship "Dar Pomorza"
The Dar Pomorza is a Polish full-rigged sailing ship built in 1909. Interestingly though, she wasn't initially Polish. The ship was built in Germany by by Blohm & Voss. She was launched on 12 October 1909. In 1910 she was dedicated by Deutscher Schulschiff-Verein as the German training ship: Prinzess Eitel Friedrich. The ship was named for the Duchess Sophia Charlotte of Oldenburg, wife of Prince Eitel Friedrich of Prussia. In 1920 the ship was taken as war-reparations by Great Britain. The British took her to France, where she was assigned to the seamen's school at St-Nazaire under the name: Colbert. The ship was given to Baron de Forrest to compensate him for the loss of a sailing yacht. But unable to afford its upkeep, he sold it in 1929 to the Polish community of Pomerania for £7,000. Under its new ownership the vessel became the new training ship for the Polish Naval Academy in Gdynia. She was given the name Dar Pomorza, which means "the gift of Pomerania". The ship went on to win several yacht races. She even won the prestigious Cutty Sark trophy in 1980. After a few more racing successes she was finally decommissioned on 4 August 1982. Since 1983 Dar Pomorza has been docked in Gdynia as a museum ship. 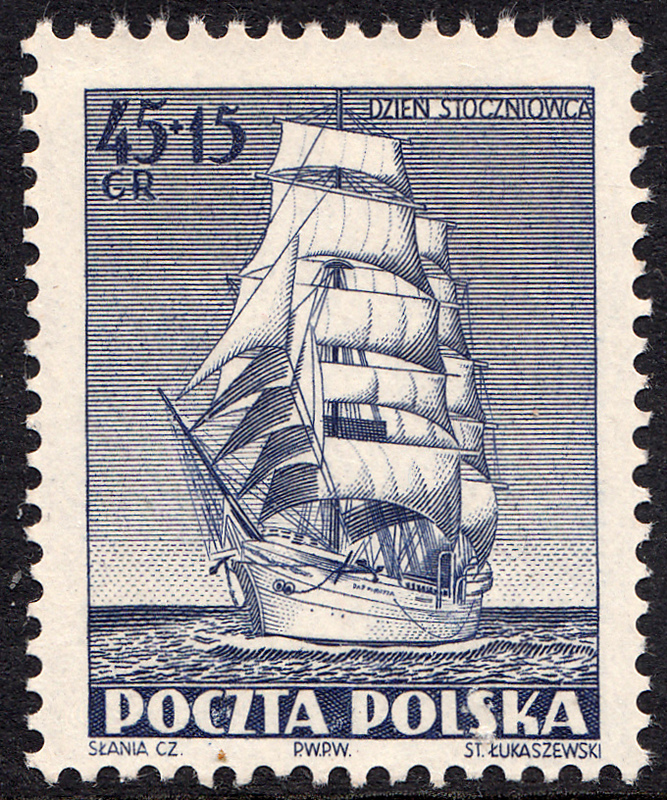 On 28 June 1952 Poland issued a set of two semi-postal stamps for "Ship Builders Day". 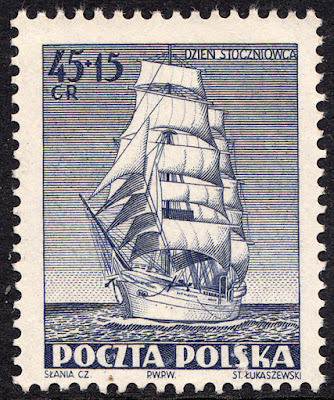 The 45g + 15g Dar Pomorza stamp was designed by Czeslaw Slania. It was engraved by Stefan Lukaszewski. 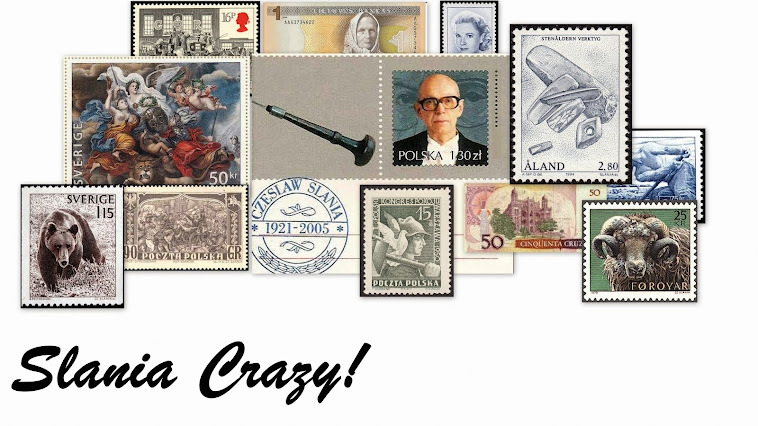 This stamp is a masterpiece of both design and engraving. The fine detail is truly stunning. From the billowing sails to the taut rigging and sleek hull, this is a wonderful stamp that proves Slania is not only a master engraver but also a fine designer.